Hemeorrhagic stroke refers to coma and paralysis caused by cecebral hemorrhagic. It is common in hypertensive patients over the age of 50, and most are men. 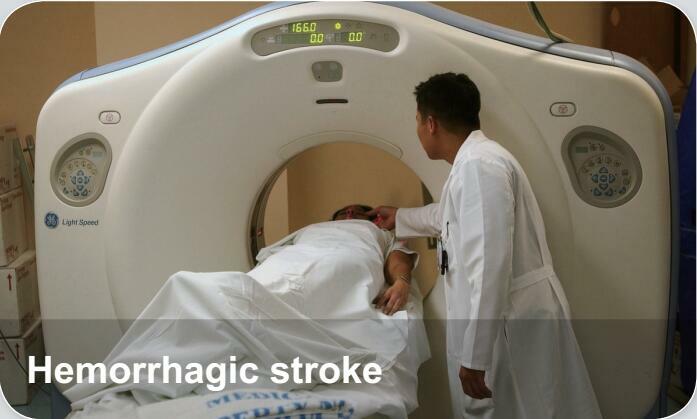 Hemorrhagic strokes may occur on the background of alterations to the blood vessels in the brain. In addition to neurological impairment, hemorrhagic strokes usually cause specific symptoms (for instance, subarachnoid hemorrhage classically causes a severe headache) or reveal evidence of a previous head injury.